At Open Stage Arts we don’t work towards a performance, although we do perform within the confines of the class. Some people gain confidence in the class and decide to give performing a try by joining local theatre groups, or even writing and producing their own shows. If you have the confidence to perform it is quite exhilarating, but usually preceded by a whole lot of nerves. Like most things, practising can help to ease the pre-show nerves: not just practising your performance piece, but the practice of being in front of an audience. Start small and tackle bigger audiences as you become more comfortable. I recently performed in front of a really big audience. I have always loved dance. I did my degree in Dance and Related Arts, but when that was completed and I entered the sensible (and creative) world of editing books, I stopped performing. This is a common story I think, whether you are talking about performing arts or any art form: if you do not make a career out of it you may stop doing it altogether. My return to performing came about in 2016 when, at the age of 45, I joined a mums’ street dance crew run by Messy Jam Oxford. The dance style was quite alien to me for a while, but I love any dance, so I enjoyed the classes and learning the new choreography. 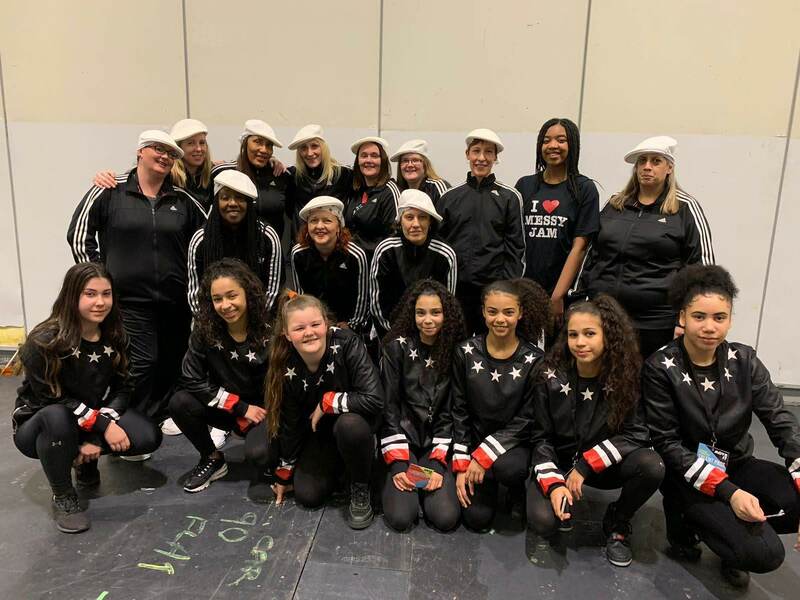 My first performances with the crew, Old Skool Flavah, at Dancin’ Oxford on Gloucester Green and Cowley Road were terrifying, as were the competitions we took part in – you wouldn’t believe how many times one mum can go to the toilet while waiting to go on. But the performance on March 9th topped them all for fear and audience size. 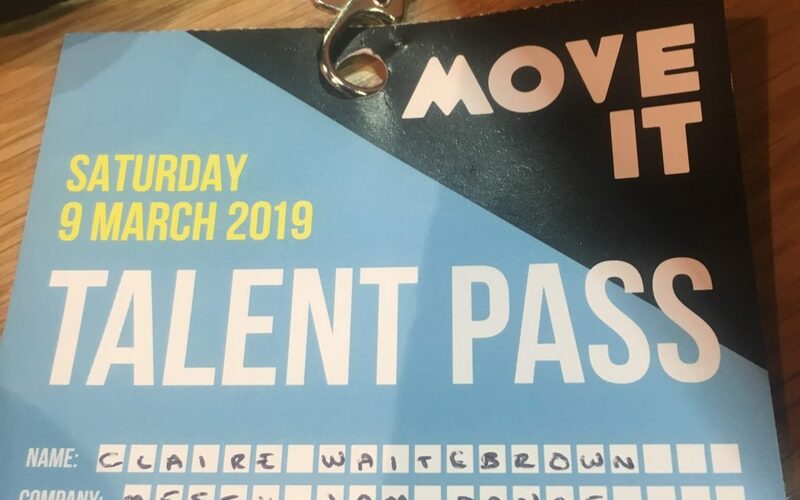 As we drove to the Excel in London for Move It, the biggest UK dance and performing arts show, I was super excited, and even more so when I received my ‘Talent’ pass, which meant I was a performer and could use the special entrances! 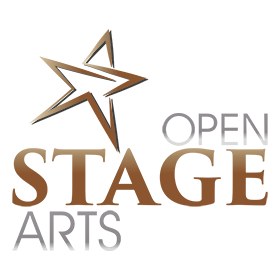 The lindy hop class I took part in was great fun – again, I love to try different dance styles. After that distraction however, the nerves took hold. I go quiet. Walk around the show. Balk at the size of the main stage and the big screens either side of it that show the performances in close up and in really good quality. Meet up with the other mums, who it is obvious are equally petrified. Each one of us at some point will have said to another ‘Why do we do this?’ A couple of walk-throughs help somewhat, then we head to backstage, where the other performance groups – young students from performing arts schools – are excited and vibrant. 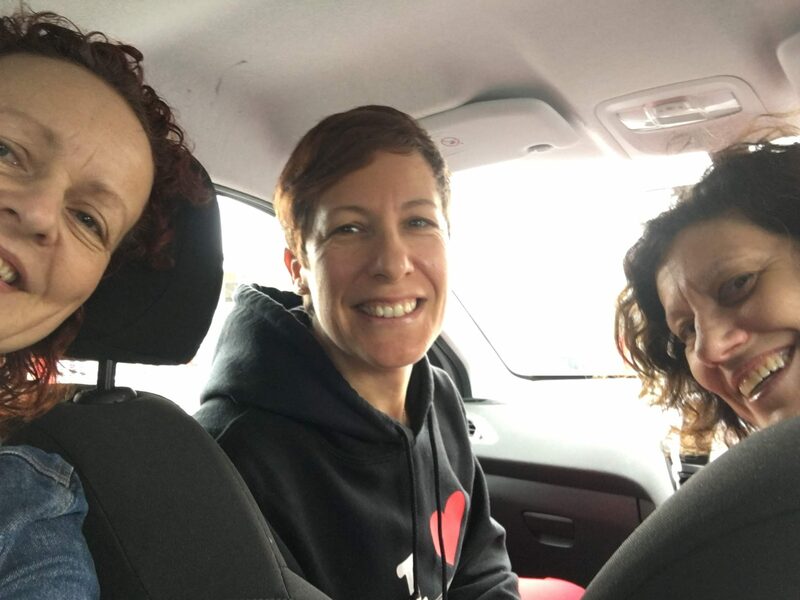 The presenter was very accurate and encouraging with his introduction for us, making it clear that we were not comparable to the other acts that will have been on that stage before, but that we were a bunch of mums who were being brave. That helped to calm the nerves a little, knowing that the audience’s expectations had just been lowered! When it was time to come on we got the biggest cheer. To see so many people in the crowd smiling and clapping melted the fears for me, and my performance mode kicked in. I remembered why I had always enjoyed taking part in shows when I was younger. I even had time to be in the moment and look directly at audience members’ expressions, and at the big screens broadcasting super-size OSF in action. The crowd seemed to enjoy the show, and I think were impressed by our talents – the pass was right! It was a thrilling experience to have their support during and after the dance, and as we left the stage the youngsters waiting to go on had such lovely things to say about us. When I founded Open Stage Arts I challenged myself to do something I had never done before, to, dare I say it, go out of my comfort zone. Equally this is the case for many people who come to the classes; they are pushing themselves past their usual limits. It is scary but gratifying, nerve-wracking but fruitful. I am not saying that the fear makes the benefits more relevant or rewarding, but that chances are you can get past the nerves and have an enjoyable experience, and feel better prepared for the next time.